Vintage black wool swing style ladies coat with mink collar. Large black plastic buttons. 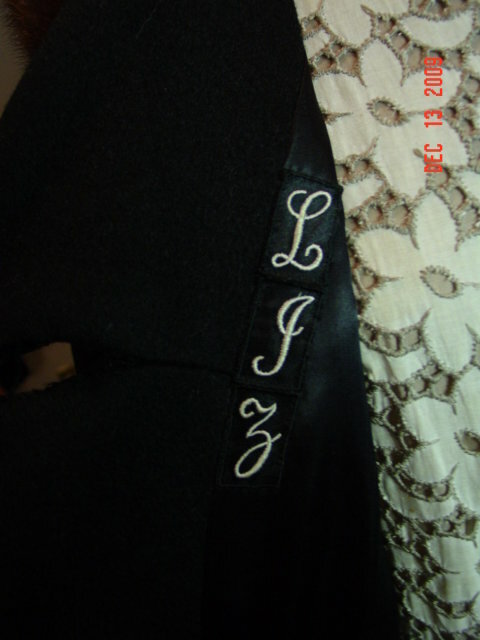 Interior is lined in black satin, and the initials LJZ are sewn inside the right lapel. Union made tag has been cut out. 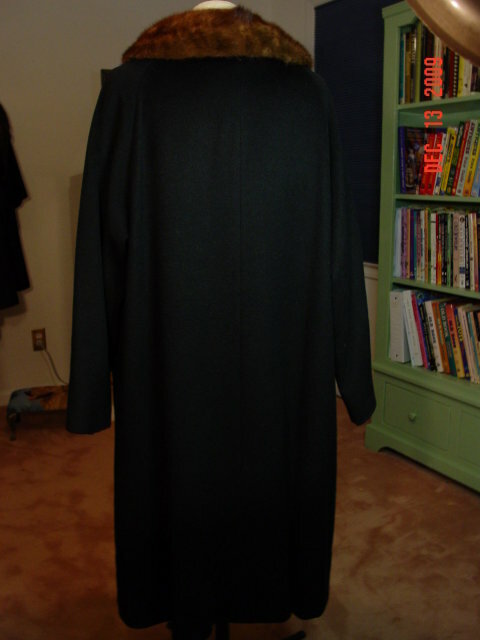 Measurements: length 42", breast 42" under sleeve, sleeve 25". Excellent condition. 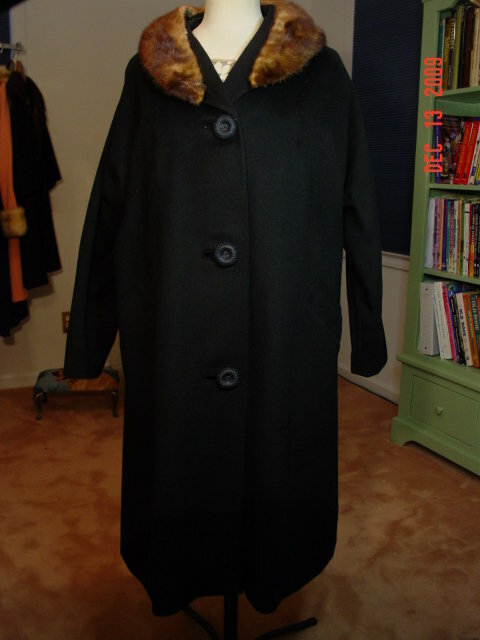 Items Similar To "Vintage Black Wool Swing Coat with Mink Collar"